Note: This regulator module is designed for use with commercial PoE systems such as Ethernet switches with 802.3af support that can push a nominal 48V down the wire. 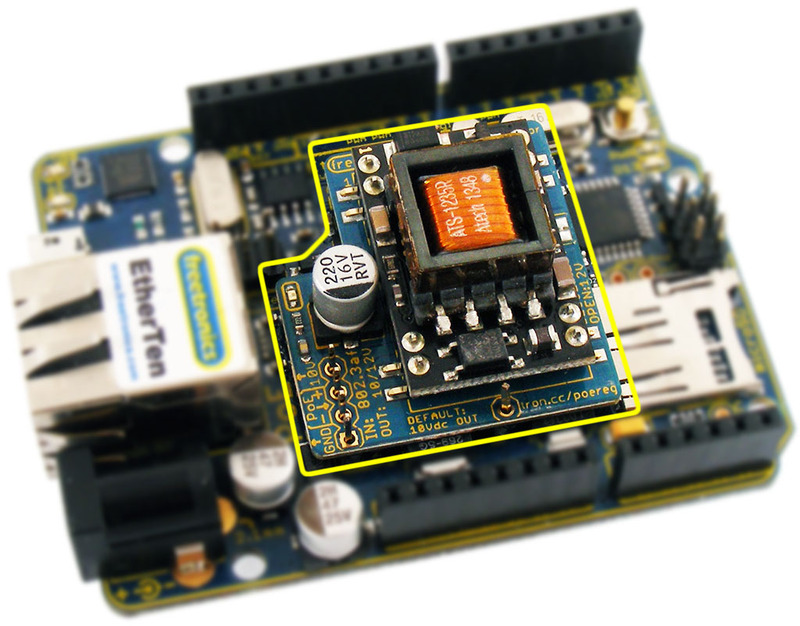 If you want to use the EtherTen or EtherMega with home-brew PoE equipment that runs at a lower voltage you may need to use the “Power Regulator 28V” or run the board with just the jumpers connected. 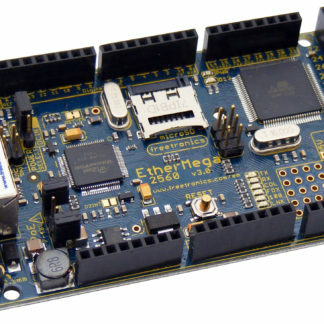 The 802.3AF Power-over-Ethernet regulator module mounts on the EtherTen or EtherMega to allow it to accept power at a nominal 48V from commercial PoE injectors and switches (Power Sourcing Equipment, or PSE) that support the 802.3AF standard. 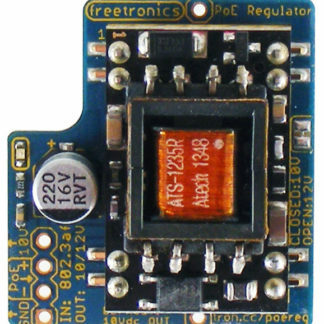 This regulator module performs the necessary signalling to communicate with the PSE and indicate that the device connected to the network segment is capable of accepting power via the LAN, which causes the PSE to activate its power injection mode. 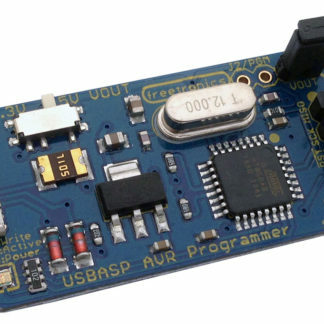 The module then takes the power supplied by the PSE and pre-regulates it down to 10V before passing it through to your Arduino for the final drop to 5V. For more background information please see Power-over-Ethernet For Arduino. 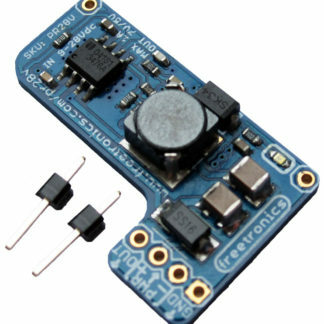 Output current maximum 1A at 10V. 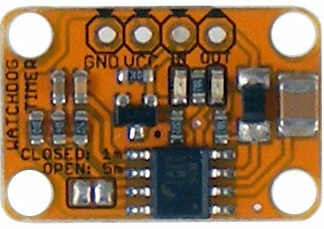 Output 10Vdc by default. 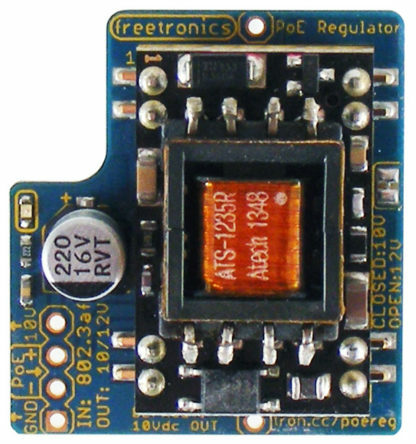 Change to 12Vdc output by cutting a jumper.